"I Believe I Can Fly," No.6 - The problem with raising the arms at the finish line is that it can compromise your balance as you go over the timing mat. 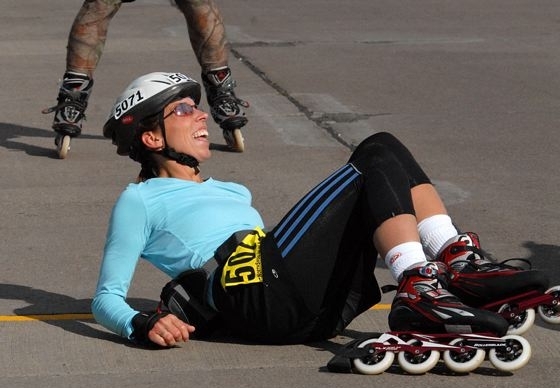 We're not sure that is what tripped up Jodi Suchy (above), 34, of St. Michael, MN. But the combination (raised arms and timing mat) dropped a few other skaters.